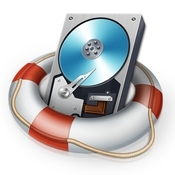 ・Read-only and risk-free Mac data recovery program. No any writing operation to your original data. ・For images, real-time and direct scan results is displayed during the scan process to let users stop scanning once the target images are found. ・For other Mac files such as videos, audio files, archives and documents, they are displayed as a text in a Hex mode for preview to let users enjoy file recovery on Mac in advance. ・Before data recovery on Mac, you can choose the target file types to scan, which saves you much time especially when there are tons of files on your Mac machine. ・Restore deleted files for Mac with original file names, shooting date, and storage paths. ・Support file names search for scanning results to provide you precise Mac file recovery. ・Complete wizard and easy-to-use interface let you perform Mac data recovery in a breeze.